Whether you’re displaying posters for sale in a big-box retail outlet or seeking an affordable way to preserve your private art collection, we have the perfect poster display or art display stand to meet your needs. 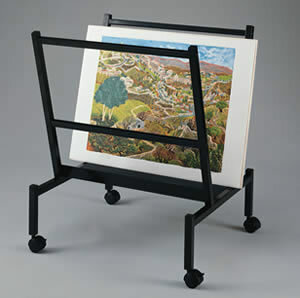 TRIO supplies quality poster holders and art displays that are space efficient, stylish, durable, and economical. These finely constructed fixtures provide a beautiful presentation for fine art, prints, posters, photos, lithographs, original artwork, private collections, maps, schematics, drawings, historical documents, tattoo and body art designs, as well as collectibles, stationary and memorabilia. Please click on one of the categories below for more art & poster display information and pricing, or call one of our customer service representatives at 1-800-454-4844 with any questions. Poster Displays with Bins – Constructed of steel and available in 10, 20 and 30 panel configurations, the swinging panel design of these display fixtures has become one of the most popular display methods in modern retailing. Versatile, space efficient and pleasing to the eye, these displays can be utilized on a countertop, against a wall or in a free-standing application. Multi-Panel Poster Display - The perfect display solution for retailers who lack the space to effectively display their stock of posters, photos, artwork etc. These units create an attractive merchandise presentation without the bulk of a conventional display fixture. 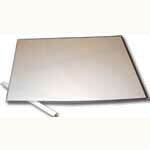 These units are available for hanging on your wall or free-standing on your sales floor. Single Panel Poster Display - These displays offer a wide variety of frame materials and sizes, which showcase your posters, photos, and artwork. 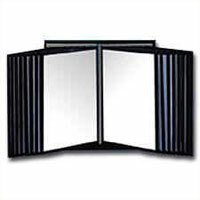 These units create an attractive merchandise presentation both hanging on your wall or free-standing on your sales floor. 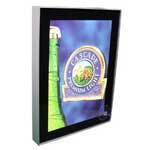 Backlit Poster Display - We use light boxes to really pack "PUNCH" into a retail environment. These fluorescent retail displays provide a clear picture of the life style or theme of your store, booth, business etc. 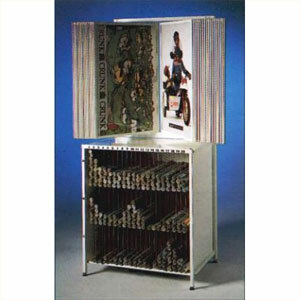 Art Display Stands – The perfect display solution for dealers, collectors and displayers of fine art and prints. Steel construction and a space-saving footprint make these displays both durable and versatile. 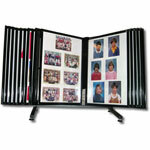 Photo Display - These quality fixtures are perfect for displaying any number of photos in an attractive, durable fashion. 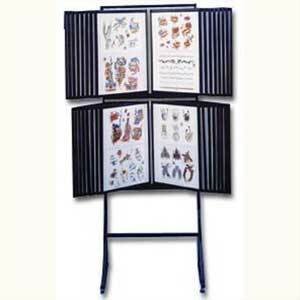 Flash Display - Primarily used by tattoo artists to display their artwork, these sturdy fixtures are equally useful for displaying everything from posters and photos to beach towels and fabric samples. Print Protectors – When used in conjunction with our Art Display Stands, these double-stitched, .008 mil clear vinyl sleeves are perfect for preserving art and prints in a wide array of sizes. 2-sided 50 pt. ph neutral chipboard is included with each protector to reduce bending and warping.